Pac-12 commissioner Larry Scott said general counsel Woodie Dixon, who is not a trained official, thought he was only giving his opinion. Officials interpreted that as a directive. 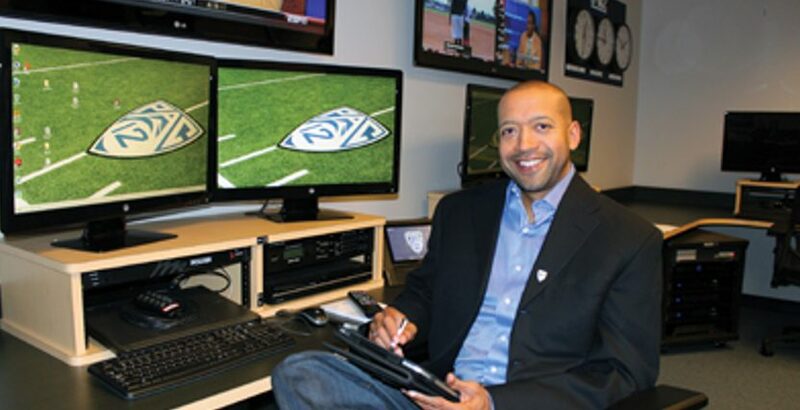 The Pac-12 has publicly fallen on its face plenty of times, especially when it comes to the availability of its conference network, but the latest comedy of errors surrounding the conference is more akin to Sideshow Bob repeatedly stepping on rakes. This all stems from a play in the third quarter of the Washington State game at USC on Sept. 21, where Trojans’ quarterback JT Daniels went to a knee and was down, but was leveled with a helmet-to-helmet hit from Cougars’ linebacker Logan Tago. That drew a roughing the passer penalty and a review for targeting, but targeting wasn’t called. And that’s led to an amazing sequence of events. Scott says conference leadership will have no involvement with real-time decision making re: replay reviews. Effective this weekend. Will have a longer term review. Scott says Dixon thought he was only giving his opinion on the call. Replay officials thought this was a directive. That’s just amazing. 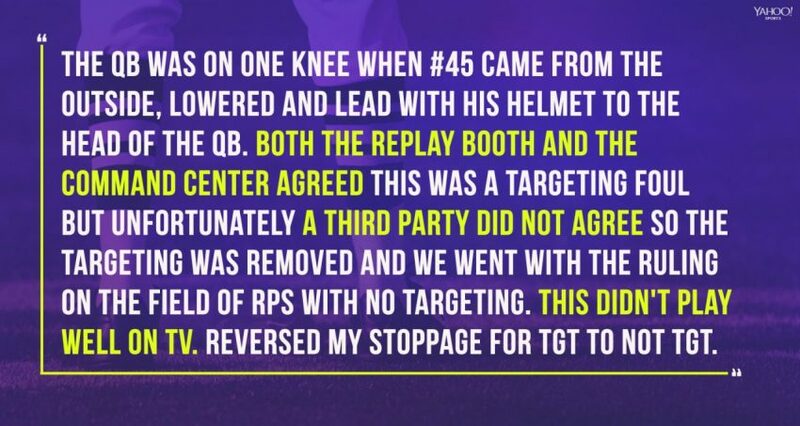 And sure, it’s good that Scott’s admitting the mistake and coming up with a procedure to fix it, but it’s also interesting that the conference commissioner claims he had no idea this was happening, or that his officials were snarking it in reports, until Thamel reported on it. Larry Scott: “What’s been reported was of significant concern to me. It was new information to me." Real great conference you got going there, Larry.